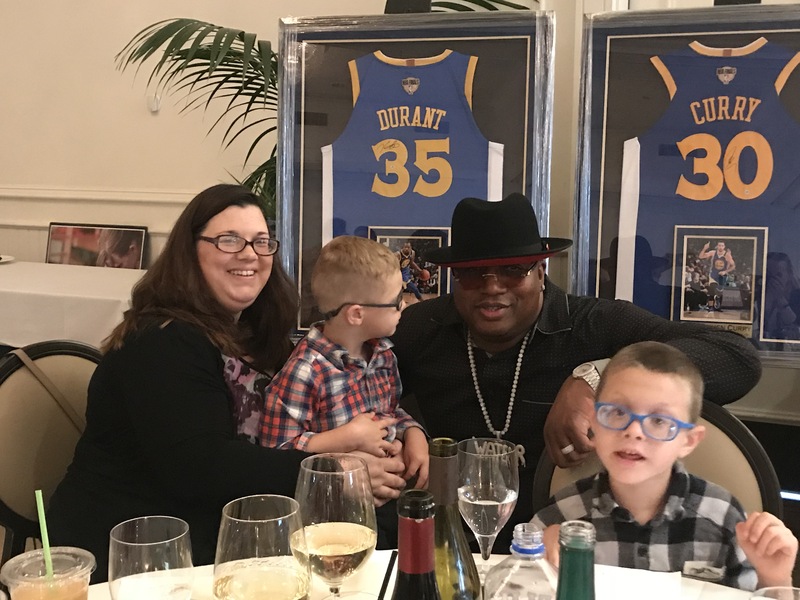 Southern Wine and Spirit’s Golf Tournament at Silverado Resort and Spa fundraises for POPS Kids each year, and what a great thing it is that they do! This year we had a magnificent time. Join us in remembering some of the great moments in July at Silverado! Our POPS Kids’ team was able to invite some special guests from Boost Camp! Some of these kids have been part of the POPS kids family for many years, and will stay in our funded programs for years to come. We were happy to welcome their parents as well, and celebrate all of their successes. 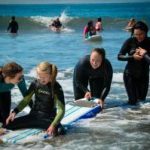 In 2013, education leaders in California developed a “Task Force on Special Education” to identify barriers faced by students with disabilities and submitted recommendations to make the school system work for students of all abilities. One proposal in closing the performance gap is early childhood education. Research has consistently confirmed that children who have quality care and early education realize important gains in language and social-emotional cognitive development. For children with disabilities, it is even more crucial, as early intervention and education can identify developmental delays at a young age. To promote an environment that enables children of all abilities to flourish, the Task Force envisioned a setting where general education and special education programs work together as one system. 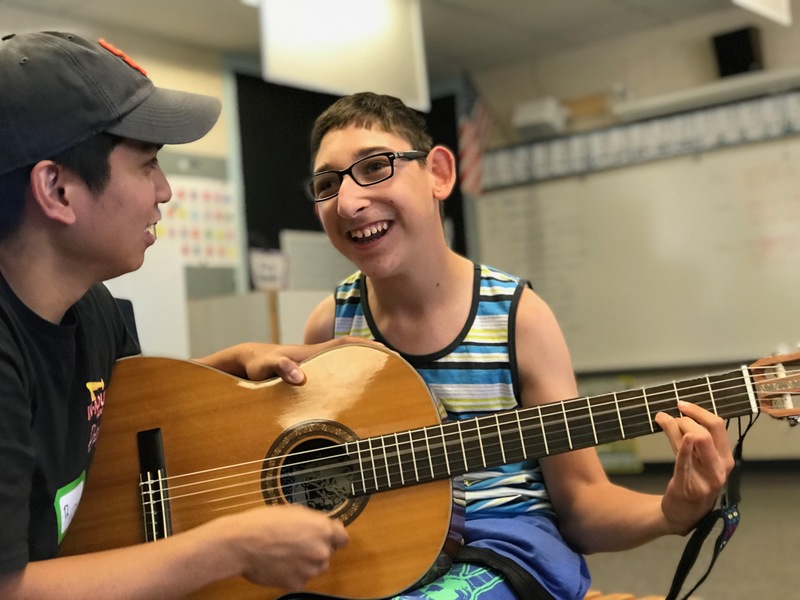 Under this inclusive system, students with disabilities will learn, play, and interact in classrooms alongside their general education peers. 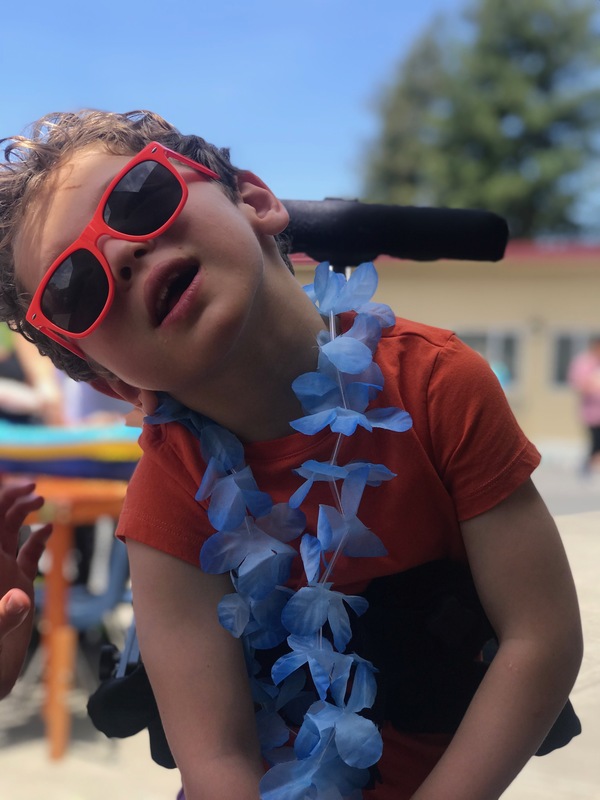 Following these recommendations, Lifehouse and our partners, the Marin County Office of Education and Dominican University, will open an inclusive preschool in Marin County. 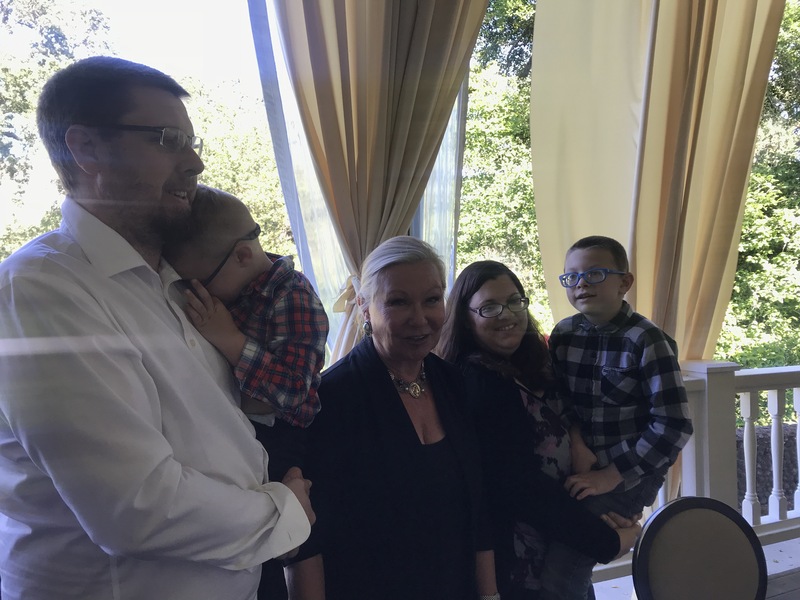 Mary Jane Burke, the Marin County Superintendent of Schools, is “thrilled about this opportunity to offer a positive, enriching preschool experience for children with and without disabilities. It is our hope that this will develop into a best practices model and potentially become available to all children. 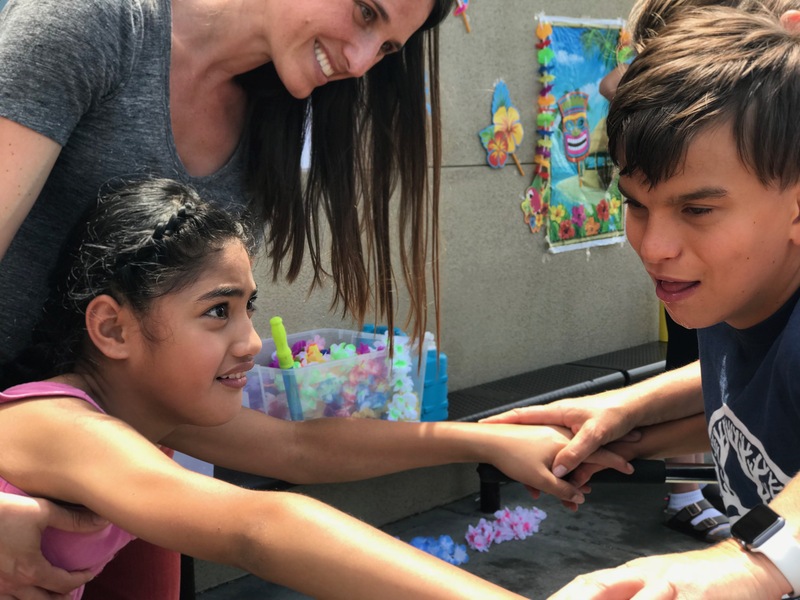 Research has shown that children with disabilities show greater academic and social growth when they are in a welcoming, inclusive environment. 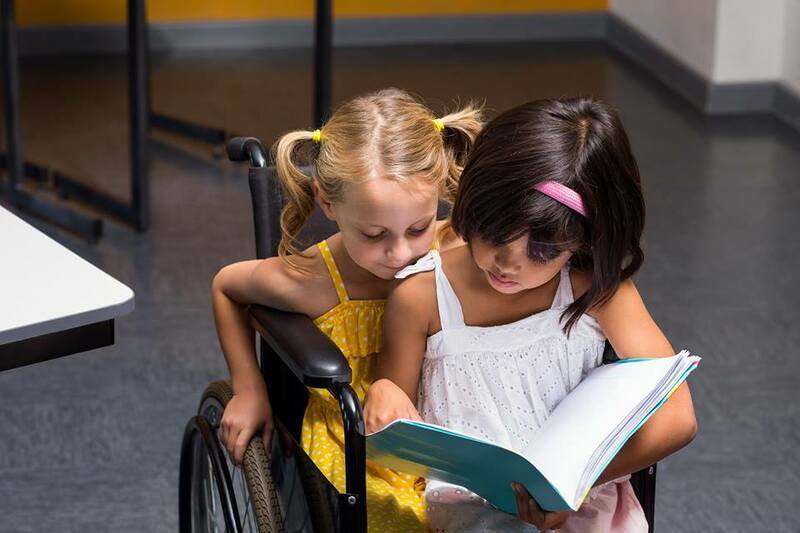 Moreover, children with and without disabilities will benefit from even greater opportunities for teacher collaboration, social skill development, and diversity within the classroom setting”. After many months of collaboration and planning, we are excited to announce that the inauguration of our inclusive preschool, Great Expectations, is set for the Fall of 2018. As it is the Lifehouse mission to provide services to enable each individual regardless of disability to live a full life and to be integrated into the community, the preschool will be a great opportunity to begin the process of positive socialization and academic readiness for young children with disabilities. 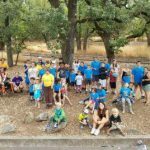 Ultimately, our goals are to show how inclusiveness is beneficial for all parties involved and serve as a model for future inclusive preschool classrooms both in Marin County and nationwide. Boost Camp was a lot of fun! 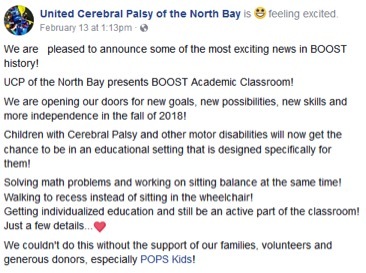 Boost Camp is an incredible program created by United Cerebral Palsy of the North Bay, that teaches and inspires young children with Cerebral Palsy to past any borders. Volunteers work 1 to 1 with children to help them move, achieve goals, and learn something new. It is one of the few hands on programs in the United States that works with children, and we have seen incredible results! POPS Kids is so honored to support this program and what it stands for. Below you can join us in the experience and see the photos from this summer’s Boost Camp! Enjoy! 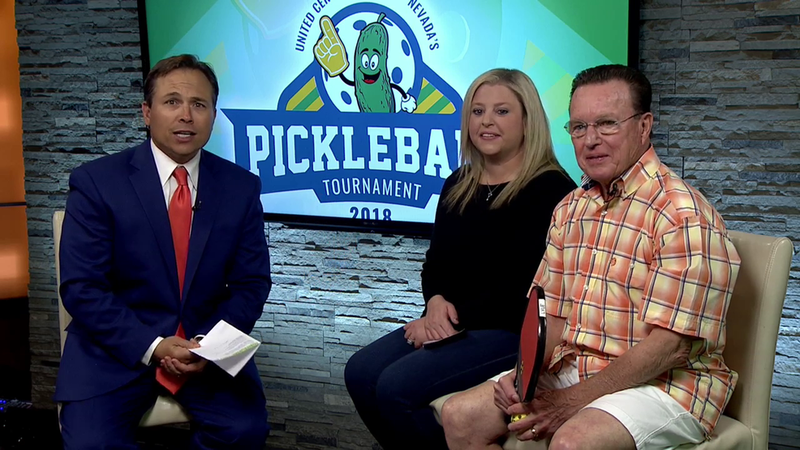 Here is a link to the coverage we received yesterday on the UCP Nevada pickleball event, http://foxreno.com/news/ mornings-on-fox-11/united- cerebral-palsy-of-nevada- hosts-pickleball-social. 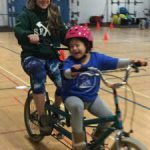 The pickleball event in Reno that supports Conductive Education! 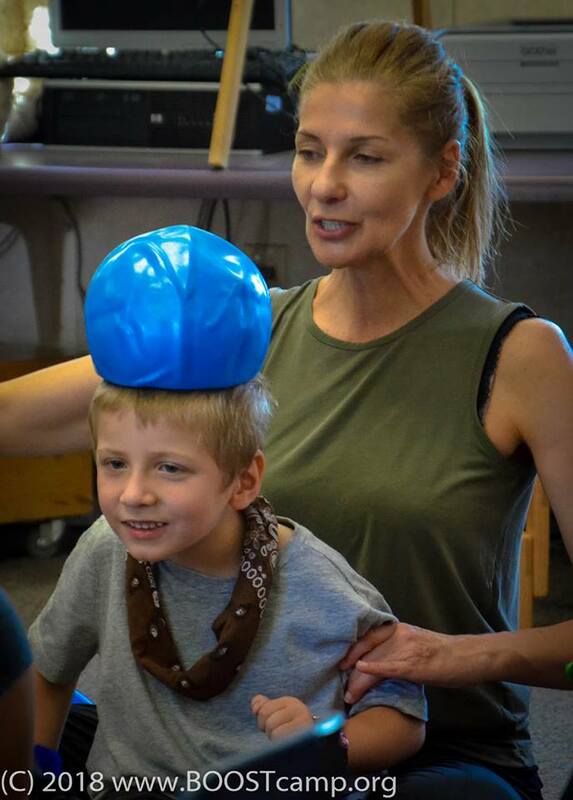 THRIVE is a summer conductive education program based in Reno, Nevada, hosted by the United Cerebral Palsy of Nevada. THRIVE would love to expand to Las Vegas next summer, and Pickleball might just be the way! THRIVE summer camp this year is June 18 through July 20 this summer, Monday through Friday 9 am until 3 pm. The University of Nevada at Reno has again donated space. Mark your calendars and sign up here. 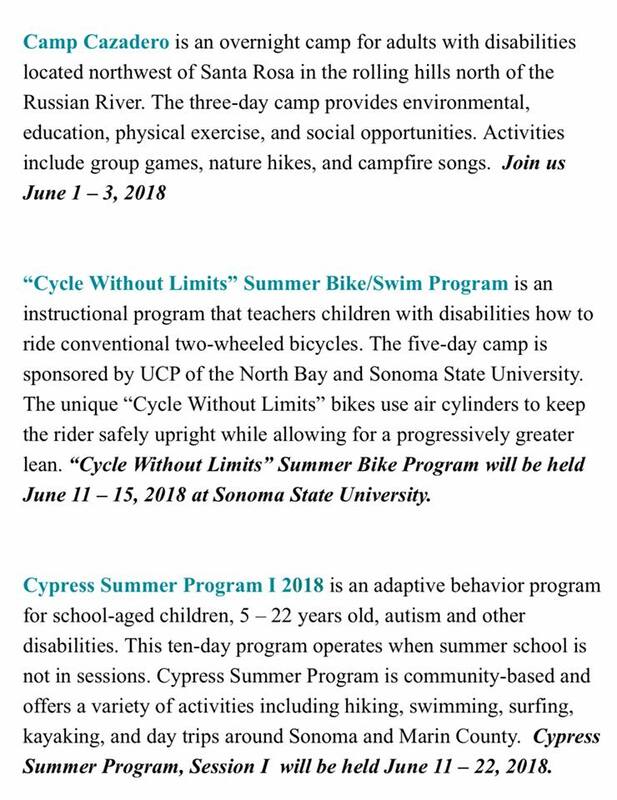 Get your calendar’s ready for June, with all these great programs brought to you by UCP of the North Bay. We hope to see you there, enjoying the sunshine and learning new skills every day! 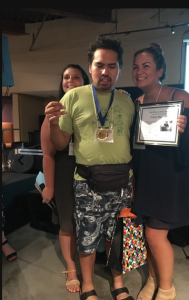 From our wonderful board member, Jeanette Waight: “At the end of August I had the pleasure of representing Pops at the “Life Without Limits” Recreation Awards Banquet. 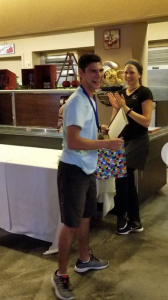 UCP of the North Bay did an amazing job putting together a fun and spirited evening for the kids that participated in the summer programs this year. It’s graduation day at summer Boost Camp and the guests are gathering. I see a familiar face. Michelle is proud to mention that, just this week, her grandson Devin started to take a few steps on his own. “Here he comes”. Hanging on and letting go… Hanging on and letting go. Go Devin Go! One step and another. It’s graduation day. Excitement fills the room as the campers leave their wheel chairs by the door. Clad in bright green Boost tee-shirts, with the help of volunteers, each one takes their special place along the front of the stage. Many children come to Boost Camp summer after summer. 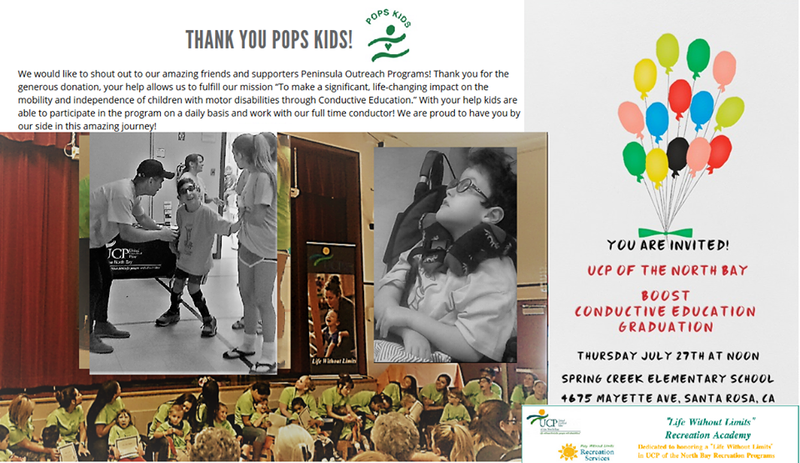 Thanks to increased funding from Pops Kids, 2017 marks the first year that campers and volunteers have been given the opportunity to participate in Conductive Education year-round. 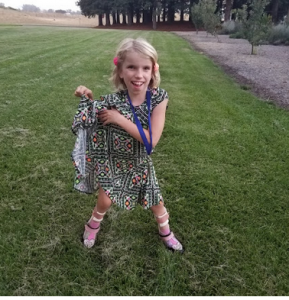 Parents continue to travel great distances just for the chance to advance their child’s “personal best.” One young girl and her family started out across an ocean, in Luxembourg, and traveled to Arizona, only to work their way to Boost Camp in Santa Rosa. Colon is seven years old. He and his family originally came from Chicago and have now resettled in San Francisco. 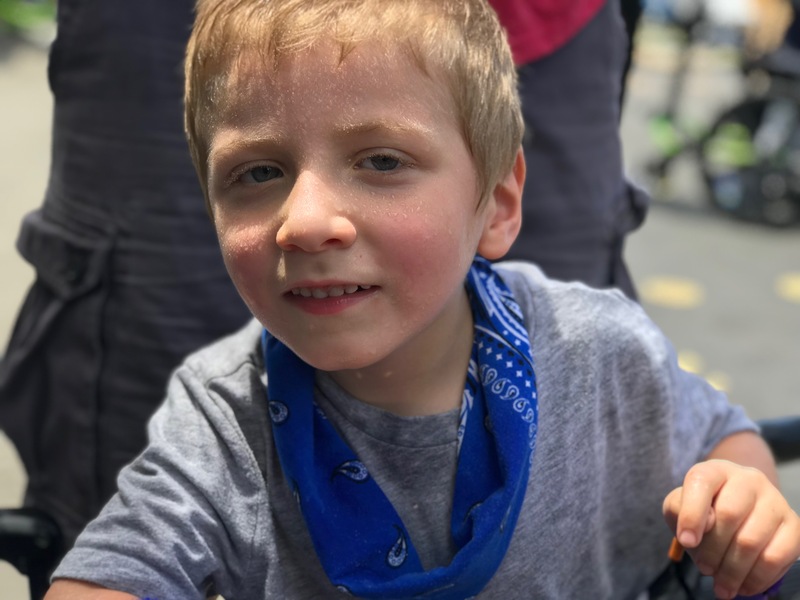 This is his first year at Boost and his mom Julie shares that Colon experiences his own story of movement. He has been working hard at camp to lift his head up. It is well known that many children living with CP also experience neuromuscular spasticity. A common condition associated with cerebral palsy, this chronic tightening and stiffness is often very painful. Effective pain management is crucial in allowing kids to be kids. With pain relief comes the chance to communicate better, make friends and have fun. Kids can also focus when it’s time to do some hard work in Conductive Education. 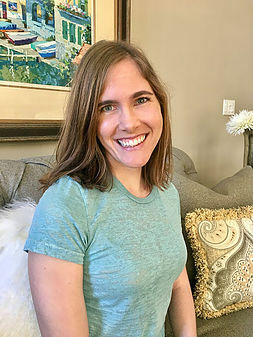 Thanks to the utilization of special herbal sage packs, prepared for Boost Camp by volunteer Ann Ward, Colon’s mom has noticed a significant relief from the pain that once held Colon back. In August 2016, Boost Camp conductor-teacher, Saskia Kramer, stepped up to fill the role of Boost Director. Since that time, she has been working tirelessly to implement and improve the program with year-round Conductive Education activities, providing various session types where children can learn and reach their individual goals. 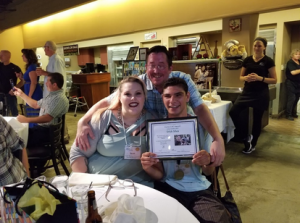 Volunteers from the surrounding north bay community make up a very special ingredient when it comes to the prolonged success of Boost Camp. Many student volunteers juggle their studies and free time to show up day after day, year after year. 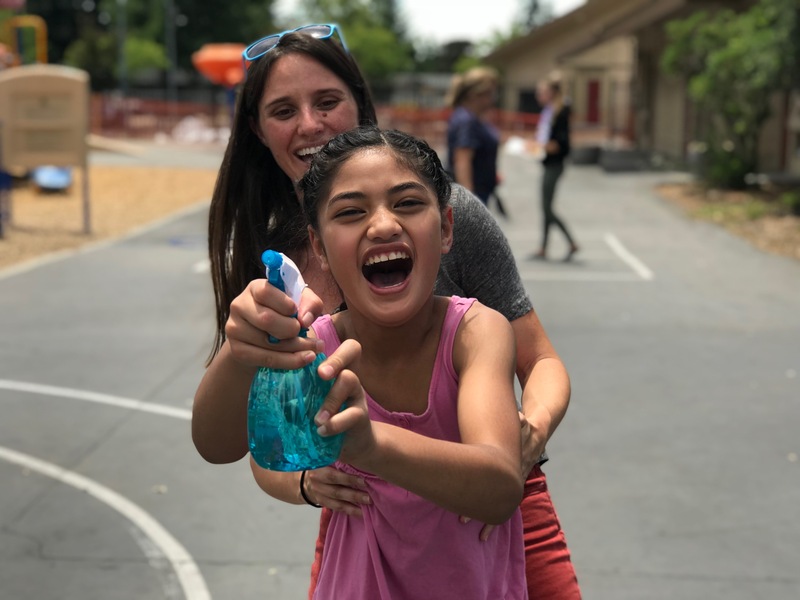 Always recognizing and building on the strength of community, Saskia and UCPNB extended a special invitation to teachers and therapists throughout the district to come and observe Boost Conductive Education on July 13th. As a result, Saskia received feedback, interest and requests to collaborate from several “traditional” special education professionals. This patient “pebble in the pond” strategy is admittedly a slow process. But. it has served Boost well. 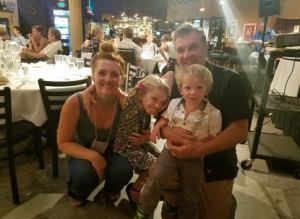 As one of the longest, continuous Conductive Education programs in the country, Boost Camp represents a persistent beacon of encouragement that keep our kids and their families, specialists, volunteers and community connected. It’s Thursday, July 27th, graduation day. Saskia thanks parents and campers. 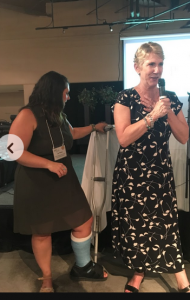 She gives recognition and praise to her three conductors and to Paula Smith, a professional Occupational Therapist who has reached across the barriers of tradition to supervise OT students who volunteer with Boost Conductive Education camp. Margaret Farman, Director of UCPNB, offers great credit to POPs Kids for our commitment to the expansion of Boost. She then presents every child with a diploma for their own, a very personal achievement at camp. Each of the Boost “kiddos” sits on the lap of a caring volunteer as they receive their certificate. It’s graduation day! Devotion and gratitude are over flowing. This little pond is teeming with life.